Okay, so, a little secret. I know I'm not supposed to have favorites, but I do. 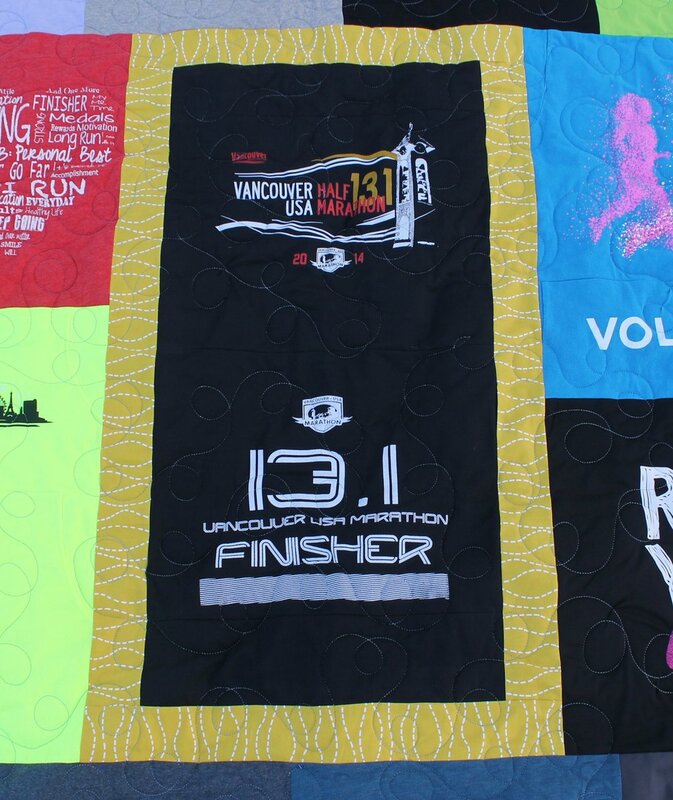 I like the local race t-shirt quilts best of all. Come on - I set my PR at Spokane 2015, the shirt on the top right! My munchkin was wearing his purple Bloomsday shirt when we dropped off the quilt! I see these shirts all over town, at every running event. So of course they're going to be my favorite! 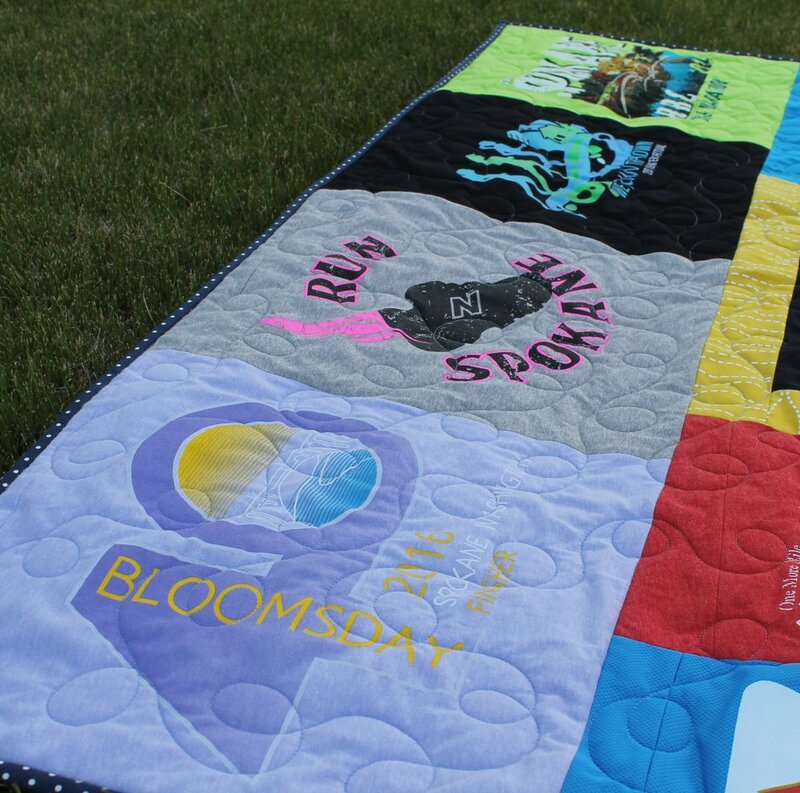 Not to mention, this quilt is for the mother of Cora, one that I did last year - and that gold fabric surrounding the mom's first half marathon shirt? Yeah, that's from Cora's quilt. 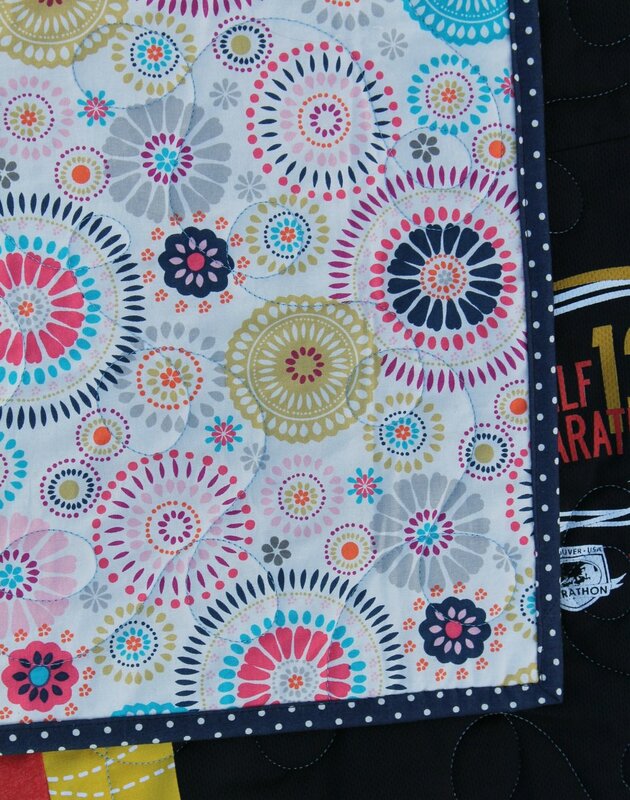 The backing is a fantastic big and bold Joann's print, with a lovely polka dot binding. The backing works with the bold colored shirts, while the binding calms it all down a little. Pretty much the perfect combo!